Preppy and Personalized – Boatman Geller Melamine Monogram Plates are great for entertaining & gift giving too! Click here to view all Boatman Geller Fonts and indicate your choice of font and requested personalization below. Please allow two weeks for delivery of this item. As all Monogram Plates are custom made especially for you, they may not be returned. As all monogrammed items are custom made especially for you, they may not be returned. Please allow 2 weeks for delivery of this item. 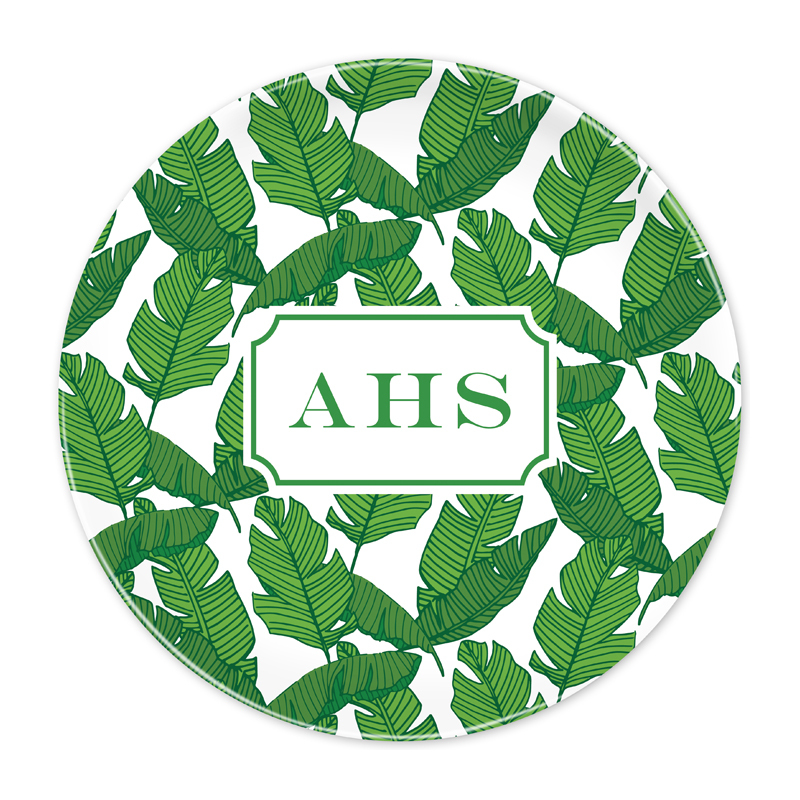 Click Here to View our entire collection of Monogram Plates. Enter Initial(s) or Name Below: For Monograms please enter first,LAST,middle. For example enter JSD for Jane Doe Smith. For McLaren Initials please enter First, Middle, Last. For example, Jane Doe Smith would be entered JDS. For Single Initials or Text please enter EXACTLY as you wish it to appear. Entry is case sensitive.